During the clear weather, a Bhutan airline provides the best view of Himalayan scenery. 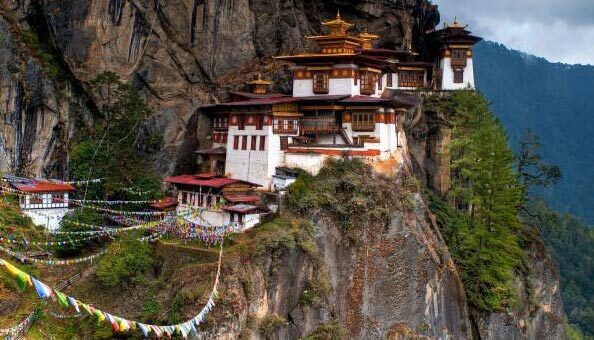 Either flying along the Himalayan ranges from Bangkok, Singapore or Kathmandu; you will be experiencing the interesting journey of the kingdom of Bhutan. After your arrival at Paro airport, you will be received by our ground representative. 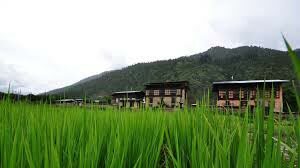 The journey towards Thimphu the modern capital city of Bhutan will be followed several Bhutanese traditional farmland and typical Bhutanese houses. Evening free and overnight at the hotel in Thimphu. 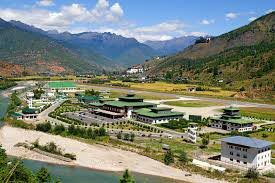 Most people consider that Thimphu is the most unusual capital city in the world as it is the seat of the government. 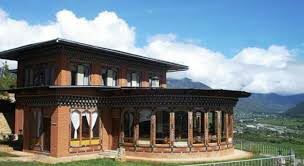 Thimphu is also a home to Bhutan's Royal family, the civil servants, and foreign missions with representatives in Bhutan. Thimphu is also the headquarters for a number of internationally funded development projects and it remains busy at all times of the year. After breakfast make visit to the National Memorial Chorten. 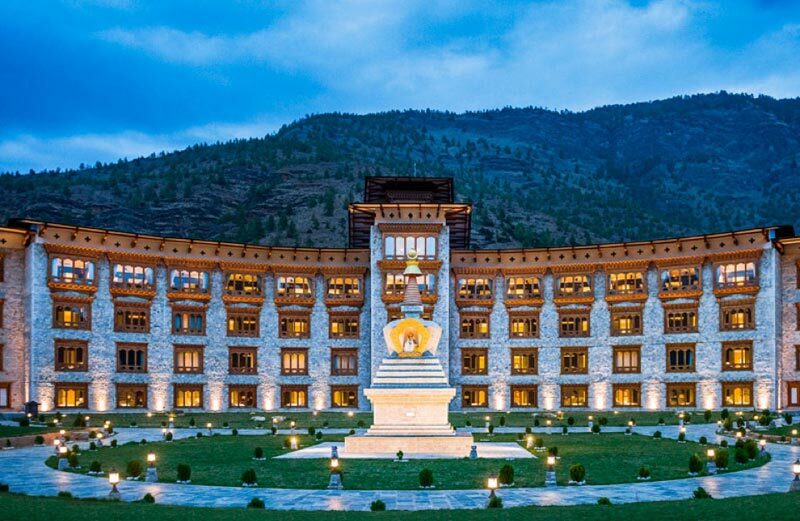 The building of this landmark was originally envisaged by Bhutan's third king, His Majesty Jigme Dorji Wangchuk "the father of modern Bhutan" who has wished to erect monument to world peace and prosperity. Completed in 1974 after his untimely death and it serves both as a memorial to the Late King and as a monument to peace. Also visit the Folk & Textile Heritage Museums, a fascinating testimony of Bhutan's living traditions. Finally, visit Trashichho Dzong, the beautiful medieval fortress/monastery which houses most of the Government's office and King's Throne room. It is also the summer residence of Je Khenpo, the Chief Abbot. 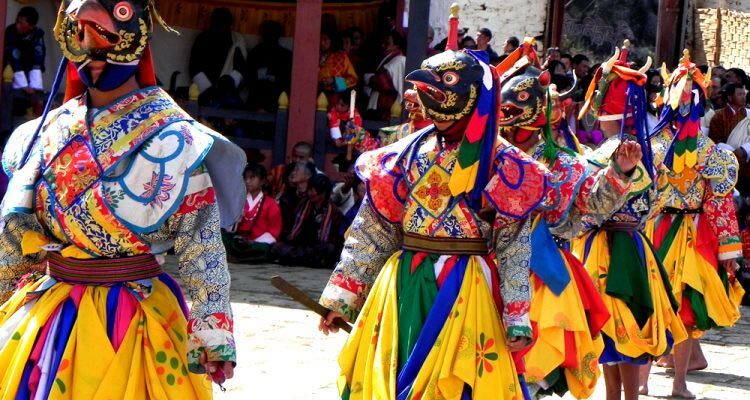 After that, we will drive to the Valley of Paro which contains the wealth of attractions. Visit Ta Dzong, once a watchtower, built to defend Rinpung Dzong during inter-valley wars of the 17th century. 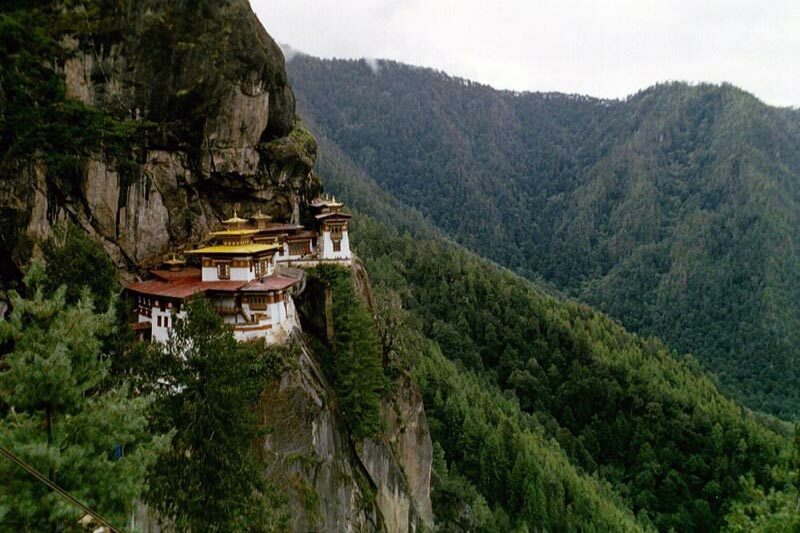 It was inaugurated as Bhutan's National Museum in 1968. Then we will walk down a hillside trail to visit Rinpung Dzong, which has a long and fascinating history. Evening take a stroll around Paro Main Street. Overnight at the hotel in Paro. After breakfast, drive to the airport for flight to onward destination.